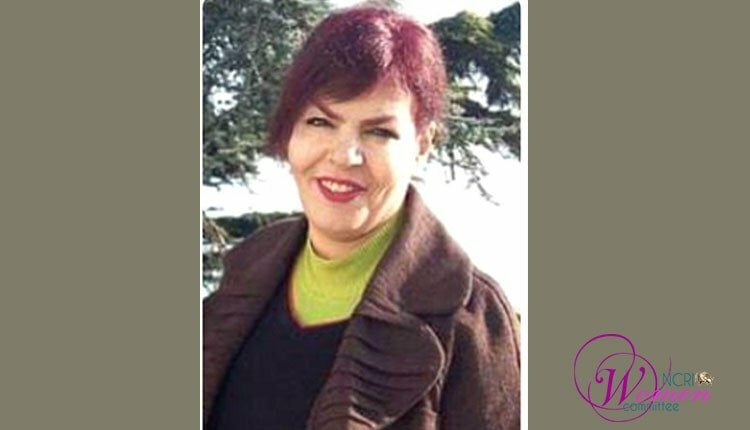 On Thursday, April 11, 2019, Mrs. Monireh Arab-Shahi, mother of the civil activist and theater actress, Yasamin Ariani was arrested. She was transferred to the notorious Qarchak Prison on the next day. When referring to Vozara detention center in Tehran on Thursday April 11, 2019, at 10:30 am to get a news from her arrested daughter, Yasamin Ariani, Mrs. Monireh Arab-Shahi was arrested at the place. It is said that the State Security Force (SSF), referring to their residence on Wednesday, April 10 had a warrant to arrest both the mother and the daughter, but as Mrs. Arab-Shahi was not in, they only arrested Yasamin. The warrant was issued by the Prosecutor’s Office of Karaj. There is no information on the reason of the arrests. Yasamin Ariani was arrested along with 50 other protesters on July 2, 2019, in Tehran when protesting the dire economic situation and the regime’s corruption. The arrests were carried out by security forces and those arrested were transferred to the Greater Tehran’s Penitentiary and Qarchak Prison. Other women arrested along with Ms. Ariani were Azar Heydarian, Saba Kord Afshar, Mojdeh Rajabi and Niloufar Homafar. Ms. Ariani was transferred to Evin Prison’s women ward in early fall of 2018 and was condemned to serve one year, charged with “disrupting public order”. She was released on Feb.14, 2019. After her release, Ms. Ariani published a revealing letter on the pardons granted to the prisoners by the regime.